Agriculture, along with its allied sectors, is the largest source of livelihood in India. About 82 per cent of the country’s farmers are small and marginal, having holdings less than one hectare. Over the years, irrigation potential has increased largely due to increased access to precious groundwater. However, 60 per cent of our agricultural land is still primarily rain-fed. A challenge for the Indian agricultural sector today is to feed its ever-growing population, even though India’s foodgrain production has kept steady pace with its population. Total foodgrain production during 2015-16 was estimated at 252.23 million tonnes, five times higher compared to 50 million tonnes in 1950-51. However, adequate food production is not sufficient to ensure food security. Not all food produced is consumed, as an enormous amount of food is lost or wasted. A 2011 Food and Agriculture Organization (FAO) report puts this figure at one third of the food produced in the world for human consumption every year, which is approximately 1.3 billion tonnes. It is estimated that saving one-fourth of the food currently lost or wasted globally would be enough to feed 870 million hungry people in the world, of which the highest number (about 194.6 million) are in India. Maximum food loss happens during transit from farm to fork, especially to urban markets. These losses not only impact producers with reduced income and consumers with increased costs, but also challenge overall food security. It has been also observed that food waste and loss occurs differently in developing and developed countries. 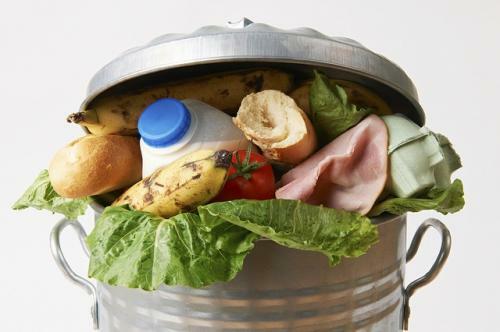 In developing countries, food waste and loss occurs at early stages of the food value chain. This can be associated with lack of support to farmers, poor/non-scientific harvesting techniques, weak infrastructure, storage, cooling and transport facilities. In developed countries, food waste and loss occurs largely at retail and consumer stages. A study undertaken by the Indian Council of Agricultural Research (2013) highlights that the underlying cause of post-harvest loss in the country is due to the lack of infrastructure for short-term storage, particularly at the farm level, as well as the lack of intermediate processing in the production catchments.The study estimated that an annual value of harvest and post-harvest losses of major agricultural produces at the national level was to the order of Rs 92,651 crore, calculated using production data of 2012-13 at 2014 wholesale prices. To address the problem of food loss and waste globally, the Sustainable Development Goal (SDG) 12.3 aims to halve per capita global food waste at the retail and consumer levels and reduce food losses along production and supply chains, including post-harvest losses. To achieve the SDG target indicator, a number of steps are being taken globally by FAO and associated organisations. FAO is working on the Global Food Loss Index, which aims to account for losses occurring on-farm, during transportation, storage and processing. Accurate measurement of food loss will to create awareness and provide impetus for policy steps and actions to counter the difference. Another step taken by FAO and Messe Düsseldorf is to collaborate with other partners and donors to develop and implement programmes on food loss and waste reduction. This initiative uses a designed case study methodology to collect primary and empirical data on the causes of food loss in developing countries in selected food supply chains. In India, this methodology developed by the agro-food industry group of the FAO nutrition and food system division was used for case studies on the food supply chains of rice, chickpea, milk and mango in Andhra Pradesh. The study indicated a need for capacity building at different levels of value chain actors. It also called for investment in large storage facilities and other related infrastructure such as roads and electricity to ensure reduction in food loss and waste. This can eventually lead to enhanced food security in the country as well as globally.